This week was really exciting because we had a baptism in the Ward. A sister … was baptized by Elder Fertig. She wasn’t in our area, but it was still really great to see her happiness. 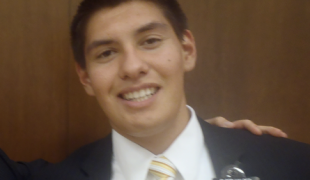 During the changing of the clothes Elder Manning and I did the missionary moment. We taught the Restoration, which was good because there were a lot of nonmembers there! I was a little nervous, but everything went really well! The Samoan man is Bro. 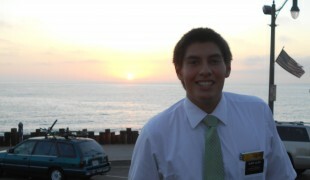 Taufa who is a ward missionary and helped a lot. We are still teaching … and he has been asking a lot of good questions. We invited him to be baptized and he said he’d have to think about it. So he isn’t totally averse to it, which is good! We have also been playing rugby at the church in the mornings! There is a nice grassy area behind our church that we play in. It is really fun and we have about 8-10 elders playing each morning! We get pretty muddy though, not because we tackle though, we only play 2 hand tap. It is crazy to think we are already half way done with September!